It is beyond crazy that it has taken me 2 years to write this post! There’s a few reasons why it has taken me so long. Firsly I wanted to make sure that I really did believe in the stuff. Secondly; I fell so deeply passionately in love with the oils that with so much to say about them, I had no idea where to even begin. I am going to make this post brief because I have decided that I will need to keep posting about these oils and the benefits of each etc. so a short post here as an intro should suffice. For those of you who are new to the blog, I am BIG on natural home remedies. I clean my home with natural products and my go to meds are always my homeopathic remedies and now my MUST HAVE oils. I used to eye doTerra and wonder whether it actually lived up to the hype. I watched the youtube videos and I read all the posts. I believed in the concept and hoped that it could deliver it’s high quality oils as it claimed. When you think of essential oils you think of the ones that are sold at pharmacies, beauty salons, spa stores etc.. Yes, they smell great .. but that’s as far as their benefit goes! The quality of those oils are no where near good enough to apply topically on your skin or even consider taking internally(never do that!!). “DōTERRA (CPTG) Certified Pure Therapeutic Grade® essential oils represent the safest, purest, and most beneficial essential oils available today. They are gently and skillfully distilled from plants that have been patiently harvested at the perfect moment by experienced growers from around the world for ideal extract composition and efficacy. Experienced essential oil users will immediately recognize dōTERRA’s superior quality standard for naturally safe, purely effective therapeutic-grade essential oils.” With only this type of high quality grade can you even think of (unless mentioned otherwise) taking an essential oil internally. *want to treat your family with natural remedies without all the nasty side effects from over the counter meds. I started myself off with the doTerra Family Physician Kit which is a collection of ten nurturing essential oils, including six single oils and four blends. The kit comes with a CD that teaches you how to care for your family’s everyday health needs with simple and safe methods using the ten essential oils; Lavender, Lemon, Peppermint, Melaleuca, Oregano, Frankincense, Deep Blue®, Breathe, DigestZen®, and On Guard to help families address a multitude of health issues. This is a great starter kit which will help you learn about how to take back control of your family’s health (from the common cold, fevers, ear aches, muscle cramp and so much more..)and do other fabulous things with the oils such as, use as cleaning products, mix in with beauty creams, help with insomnia, fragrance the home the non toxic way. There are 3 ways of using these oils, (A) used aromatically, (T) used topically, (I) used internally. My family love their oils; from Dad down to baby and more importantly they all love their foot rubs that comes along with it!! 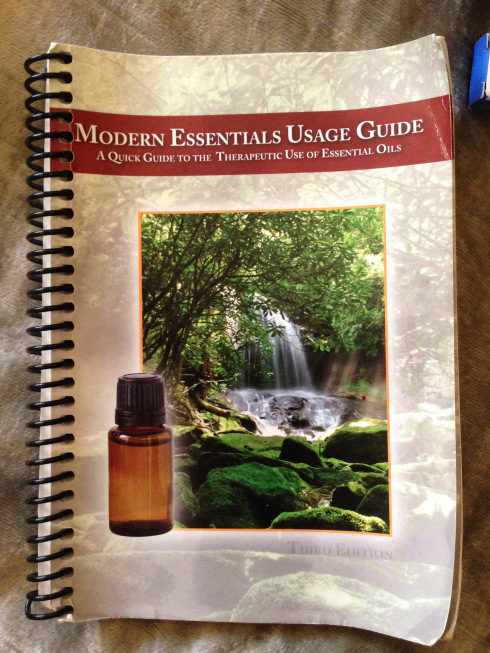 I purchased a book as well that was recommended by the site to use as the guide i choosing which oil to use for which ailment called Modern Essential Usage Guide via Aroma Tools. I purchased the hardcover for my library and the mini version for my travel kit since I am always on the go. You have to get this book and it is so easy to use. If you would like to browse doTerra’s site and learn more about essential oils and their benefit click here. If you have any questions email me at maramostafa@gmail.com and I would be more than happy to help guide you.